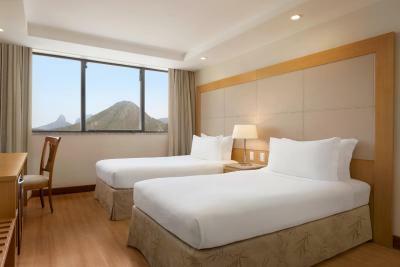 Lock in a great price for Hilton Copacabana Rio de Janeiro – rated 8.6 by recent guests! The staff was really friendly and helpful. Great location, but Hilton should invest in a renovation. 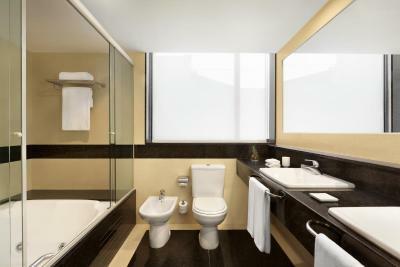 The views from the bedrooms are amazing, however some attention to details is necessary, particularly to the bathrooms. 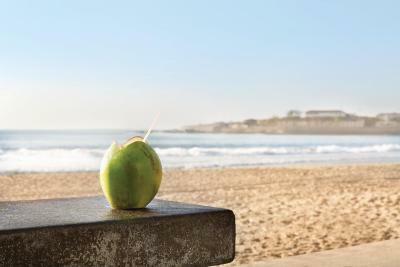 Stunning view, delicious and a lot of options for the breakfast, ideal location. Food was very good. Staff was very gracious. Cleanliness was superior. Everything! We had booked a room with "half"-view to the ocean, and they gave us the one with full view to the ocean. The breakfast was excellent, with many different options, fresh looking and tasting foods/fruits/breads/cakes. The location is also amazing. Many restaurants available at walking distance. Excellent breadth in the breakfast menu. Definitely worth adding to the room even if you miss a day or two (half the a la carte price). 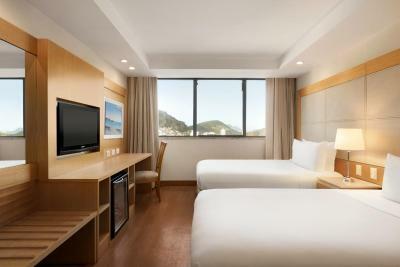 Hilton Copacabana Rio de Janeiro This rating is a reflection of how the property compares to the industry standard when it comes to price, facilities and services available. It's based on a self-evaluation by the property. Use this rating to help choose your stay! 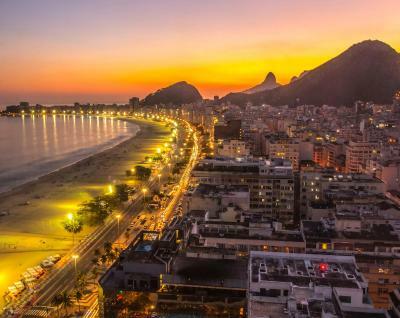 One of our top picks in Rio de Janeiro.The 5-star Hilton Rio de Janeiro Copacabana is ideally located across from the blue waters of Copacabana Beach. 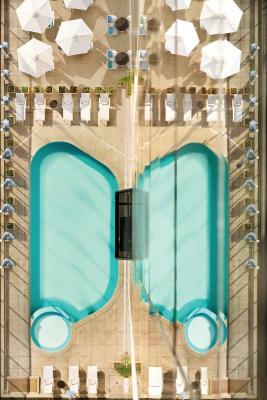 It features an elegant spa and a rooftop pool, both with splendid sea views. 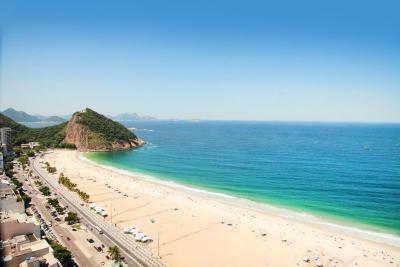 Hilton Rio de Janeiro Copacabana offers bright, sophisticated rooms with air conditioning, a TV and a mini-bar. 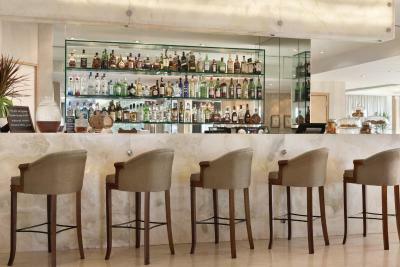 They are elegantly styled with wooden furniture, contemporary decor and warm, natural tones. Most rooms feature amazing ocean views. 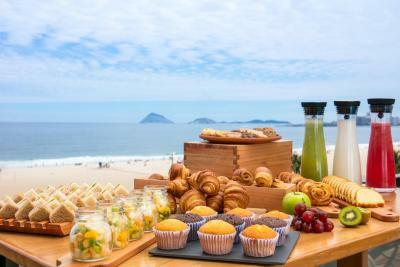 A popular buffet breakfast is served every morning with fresh fruits and pastries. 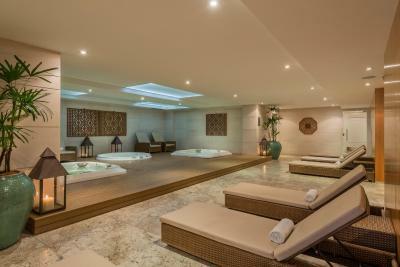 The spa at the hotel has a variety of treatments, and there is a second swimming pool on the 4th floor, where guests can find he restaurant The View. They are also welcome to exercise or have a sauna session in the fitness center. 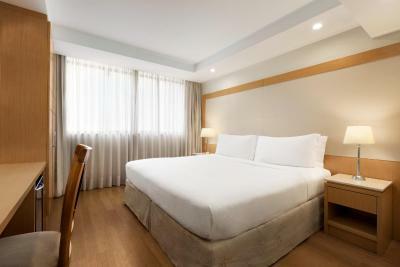 Charming shops, restaurants and lively bars are found just 2 blocks away from this hotel. Copacabana Fort is 2 mi away. Santos Dumont Airport is 6 mi away, while GaleÃ£o International Airport is at a distance of 17 mi. 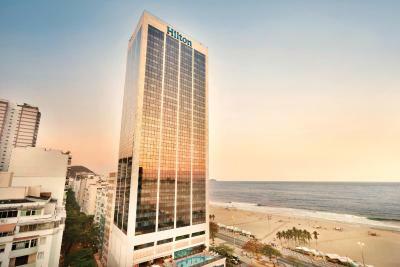 When would you like to stay at Hilton Copacabana Rio de Janeiro? 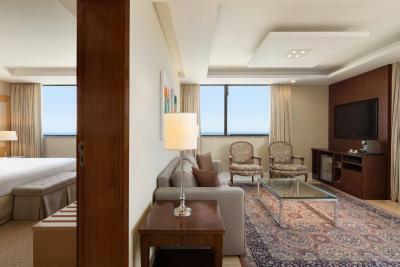 This suite offers frontal views of the ocean and Copacabana Beach. 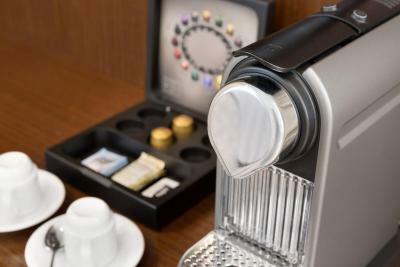 Guyests also benefit from access to the Executive Lounge with daily Happy Hour from 5.30pm to 7.30pm, breakfast served at The View Restaurant, Nespresso machine, complimentary WiFi, and private check-in and check-out. 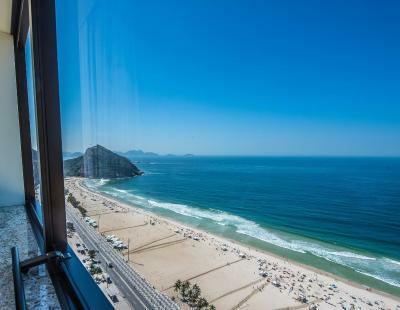 This suite offers frontal views of the ocean and Copacabana Beach. 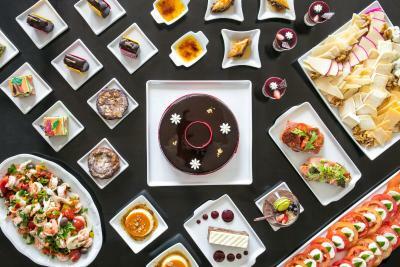 Guests also benefit from access to the Executive Lounge with daily Happy Hour from 5.30pm to 7.30pm, breakfast served at The View Restaurant, Nespresso machine, complimentary WiFi, and private check-in and check-out. 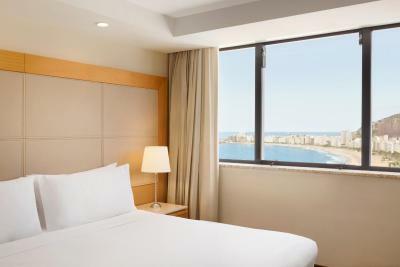 Boasting sea views, this room offers a working area, soundproof windows, mini-bar, ironing board, coffee machine, hairdryer and complimentary WiFi. 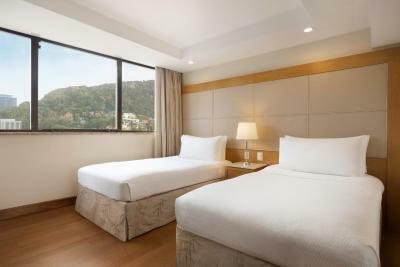 Boasting views of Copacabana Beach, this room offers a working area, soundproof windows, mini-bar, ironing board, coffee machine, hairdryer and complimentary WiFi. 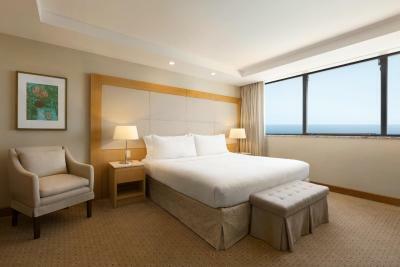 Boasting ocean views, this room offers a working area, sound proof windows, mini-bar, ironing board, coffee machine, hair dryer and complimentary WiFi. 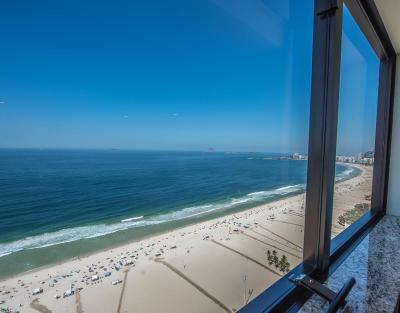 Boasting ocean views,this spacious suite is located at higher floors, has a separate working area and living room with stunning Copacabana beach views. Guests also benefit from access to the Executive Lounge with daily Happy Hour from 5.30pm to 7.30pm, breakfast served at The View Restaurant, Nespresso machine, complimentary WiFi, and private check-in and check-out. This twin room features a bathrobe, iPod dock and air conditioning. 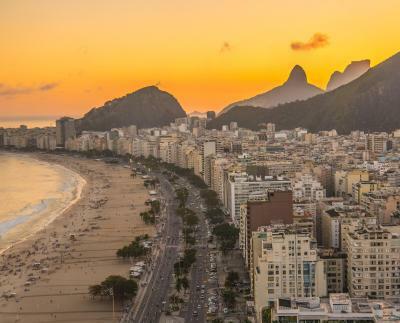 Boasting panoramic views of Copacabana Beach, this room offers a working area, soundproof windows, mini-bar, ironing board, coffee machine, hairdryer and complimentary WiFi. 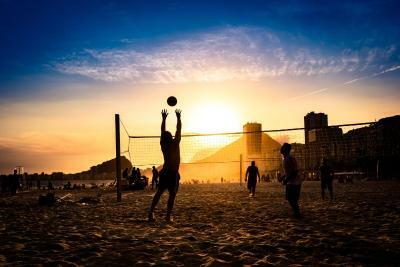 House Rules Hilton Copacabana Rio de Janeiro takes special requests – add in the next step! 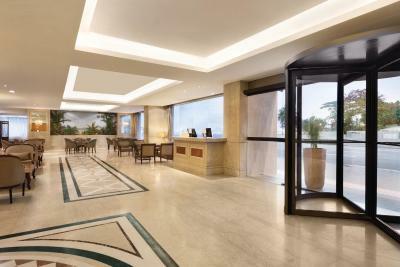 Hilton Copacabana Rio de Janeiro accepts these cards and reserves the right to temporarily hold an amount prior to arrival. 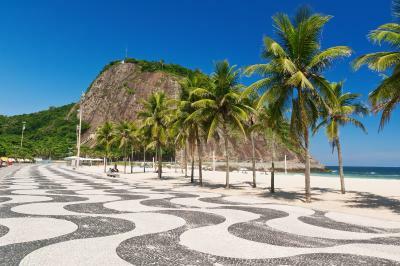 Payment in installments is available only for credit cards issued in Brazil. Kindly note that the hotel will request a credit card pre authorization for possible personal extra charges. Kindly note that guests can use the sauna at a surcharge. 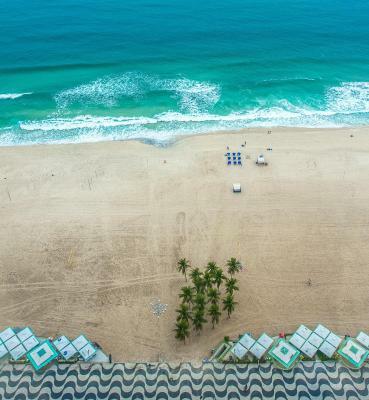 According to the Brazilian Federal Law 8.069/1990 minors under 18 years of age cannot check into hotels unless they are accompanied by their parents or a designated adult. 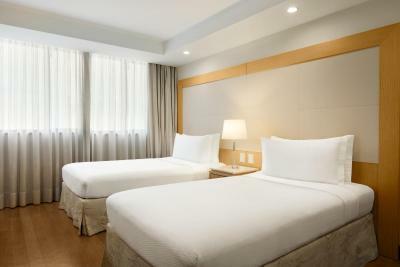 If a minor is accompanied by an adult other than his parents, it is necessary to present a written authorization for the minor to check into the hotel. Such authorization must be notarized and signed by both parents, and presented along with notarized copies of their IDs. 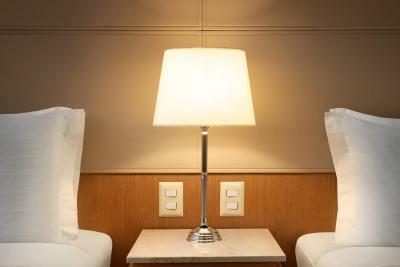 The hotel facilities are in need of renovation. The rooms and public areas are old and dated. The swimming pool on the roof is tiny, more like a water tank. The staff is friendly, but some days during breakfast service was slow as only one waiter was available to clean and assist tables. We stayed at a junior suite with great views and access to a disappointing lounge. The location is excellent ! Near the city airport, very close to a major shopping mall and right in front of Copacabana beach on the Leme side. 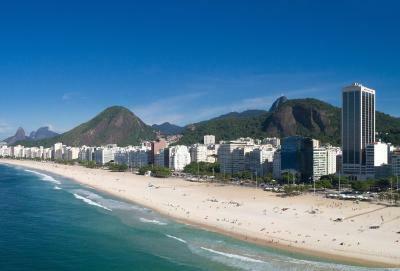 Right next to the hotel there are 4 restaurants/bars which offer good food and live samba music during the weekends. Also, at walking distance from the hotel, there is s branch of the outstanding Boteco Belmonte. Further more, there are farmacies, neighborhood bakeries, supermarket, dry cleaners and newsstands. 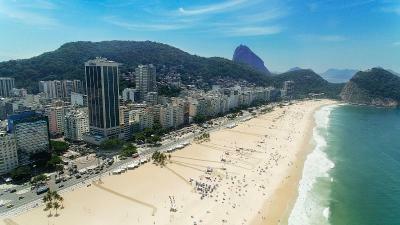 The hotel provides a beach service which is positioned right n front of a police tent on the beach making it very safe, Also next to it is “Barraca do Flavio”, which provides showers, Wifi and has a waiter service selling snacks and great caipirinhas ! The breakfast is very nice with many options including a juicing machine to make fresh healthy juices. I would definitely return to Hilton. On the 11/03/ 2019 They closed both pools at 7pm instead of 8 pm. Also on the beach you need to negotiate to keep your chair And towel after 5 pm. Breakfast service is expensive for a Buffet, and very crowded.. The Accommodation is beautiful, and Staff very Friendly. Nice welcome gift from the Manager. Rooms were amazing. Bathroom ´s windows were not able to open and ventilate. A bigger place for breakfast; sometimes there was no place enough. Our room was really dirty, old, smelled cigaretes. No toothbrush or stuff like that in your room. Only one small shampoo a day. Brekfest was decent, although not big selection. Bad and pillows were good. Hotel require renovation, as it looks quite tired.